Waiting on a Phone. . . 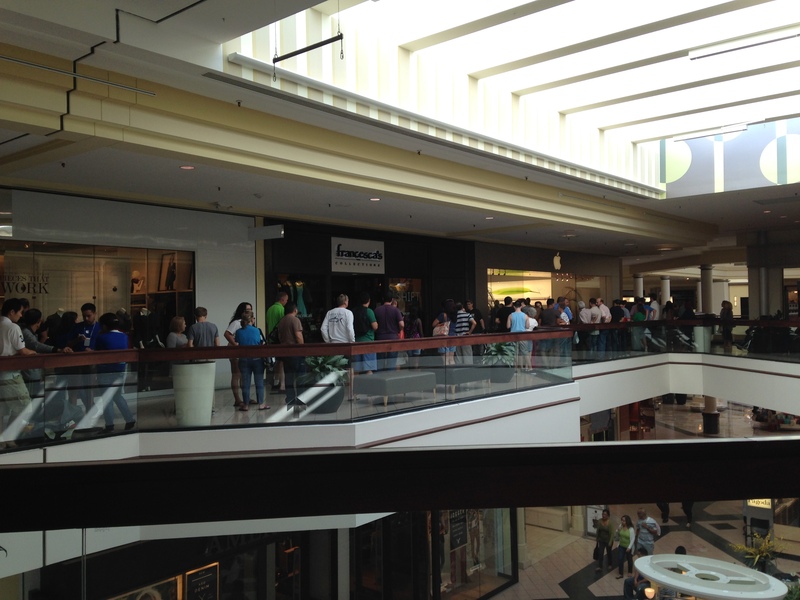 The line outside the Apple Store at the Altamonte Mall, Day 2 of the i phone 6. No further comment necessary, really. . . Except to say, why so important to be first? There’s something worth some reflection. It’s not as though Apple were GIVING AWAY iphones at the end of the line. You can read about the first-day fanaticism here. . . I say, Life’s too Short. 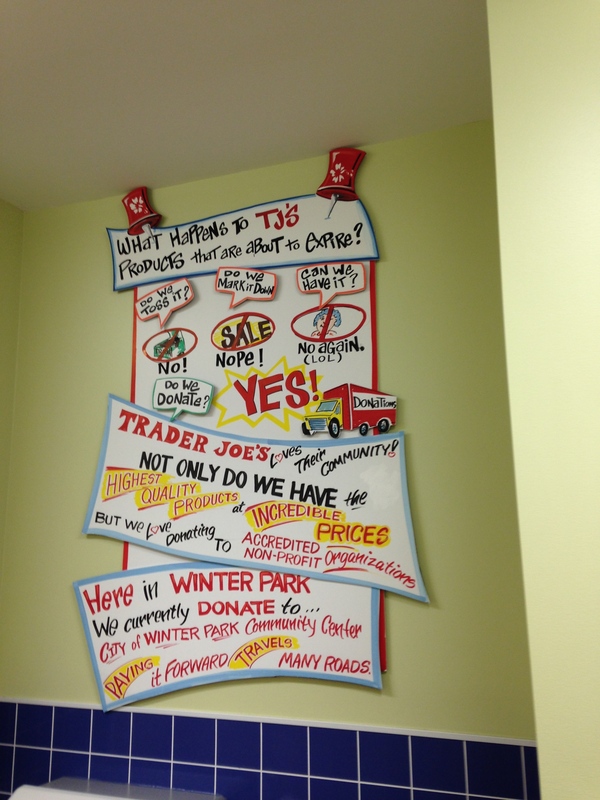 Trader Joe in Winter Park reassures its shoppers that it “pays it forward.” With its trademark typeface, TJ manages to be both cute and socially conscious at the same time. Strategically located outside the bathrooms, this sign reassures consumers that the store is socially conscious. 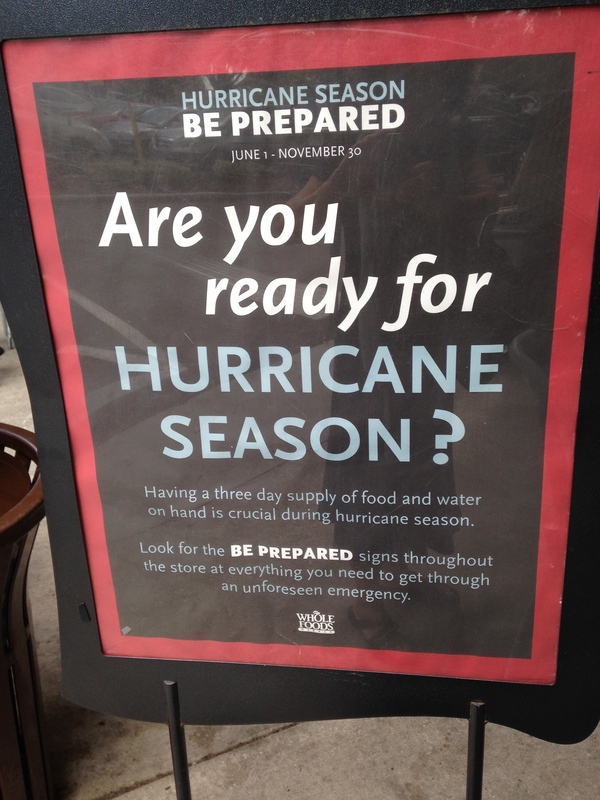 Indeed, a social conscience is part of the store’s brand. Values and ethics are part of what’s for sale (which is certainly better than not having values and ethics at all).